This number brings a thoughtful, independent, discerning energy. People with Number Seven are blessed with the ability to analyze, seek out, dig deeply and contemplate. It is natural for those with Number Seven to use their skills at research and observation. Travel to foreign countries may open business opportunities for them, and pilgrimages to spiritual power places in other countries deeply strengthen them. Number Seven brings curiosity about other cultures and benefits from exposure to them. Seven creates strong intuition and a natural interest in occult sciences. 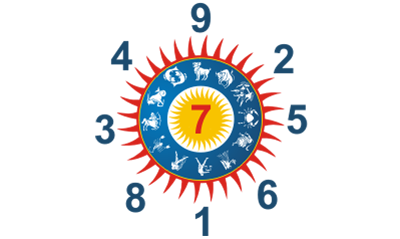 Qualities associated with Number Seven are good for education and teaching, as it creates a deep love and respect for wisdom. These people are somewhat mystical with a deep desire to help reduce the suffering of others. Career fields that they could do well in include scientific research, law, medicine, writing, musical composition, astrology, philosophy, theology or work dealing with book shops or libraries. They should try to be more patient and determined to obtain the best results for their efforts. They have a natural affinity for the sea, and a house next to the sea or river works wonders for them as it helps in soothing their minds and boosts their concentration levels. Their lives work best when they are motivated by high ideals, and when they feel they are following noble impulses.